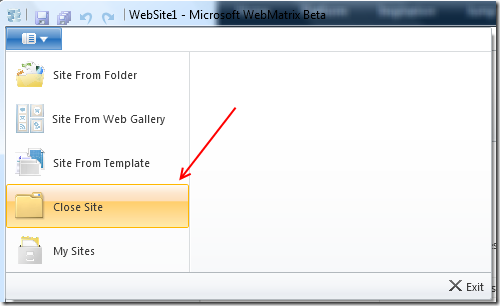 If this is the first time you hear about Microsoft WebMatrix, I suggest you to read my previous post WebMatrix – Introduction and WebMatrix – Installation before continue reading this post. 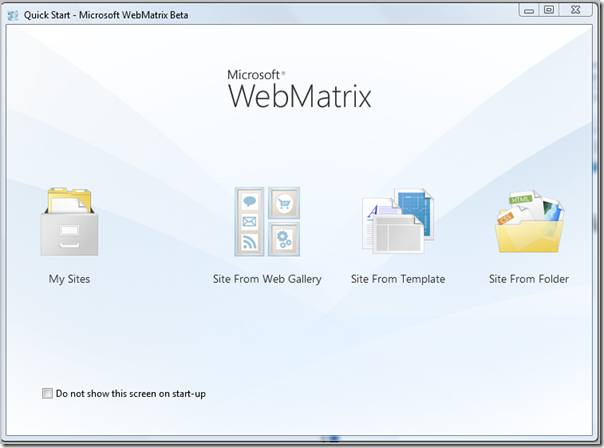 On first-time run of Microsoft WebMatrix, below screen will be the default screen on WebMatrix. if you don’t like it you can disable it by giving “Do not show this screen on start-up” a check mark. It will then run My Sites as default screen and open the last site you’re working with. Later you want the Quick Start screen to get back you can close the opened site it will bring you the Quick Start screen and you can remove the check mark if you want. Okay let’s try the menu item one by one. 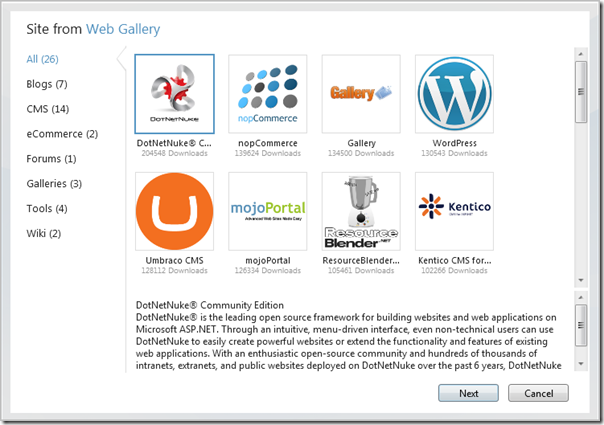 It will open a dialog with all sites you ever worked with in the list. Select a site and click OK button to open, or you can just double click the site. This is where all funs will start. 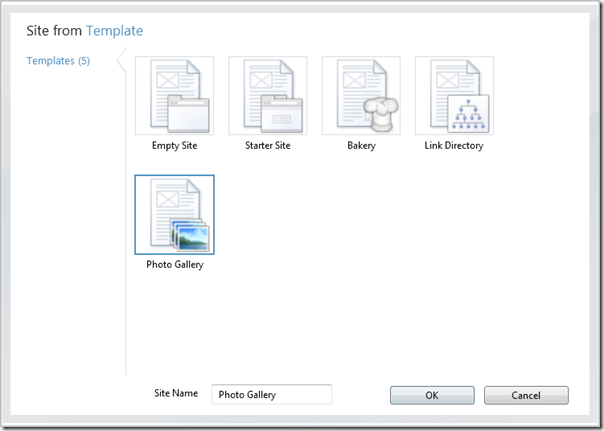 You can create your own site from online templates listed there. When you create a new site from template, you will find that there are new extensions .cshtml and .vbhtml – yep they are new extension introduced by Microsoft as ASP.NET Web Page and it supports Razor Syntax. This option will let you choose a folder in your computer where a site (or even nothing) is stored. 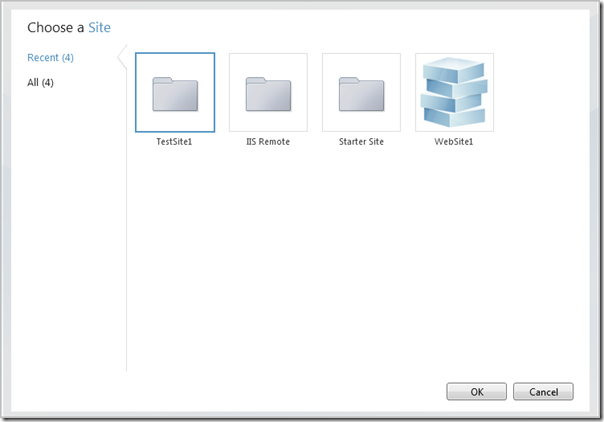 The folder will be then be the root directory of the site you will work with.